Booklet printing on a short run. Short run booklet printing can be done easily through the website of Image Magic. With instant printout and short run quantities of booklet printing, customer can opt for this to save cost and time. 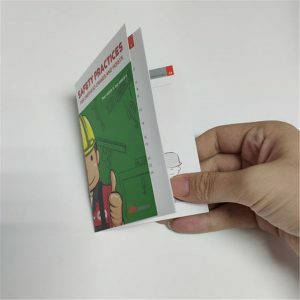 Customer can have their online quote for booklet printing with option either in perfect bind or saddle stitch booklets and they can enter a printing specifications for any booklet style. Instant ordering for booklets, journals, manuals, program books, guide books, annual reports and more can be done here! Don’t forget to add direct mailing services for your booklet printing. Our in-house mailing services is easy and affordable to make things more comfortable in your way. Customize your booklet printing and add personalized printing on it. 100’s of companies, non-profit organizations and associations discover a higher return on their marketing investment just by personalizing their marketing materials. For different booklet quantities, paper, folding, request a custom quote or call for a personal quote. You’ll reach a Customer Service Rep instantly, we use no automated phone systems here, real people will be answering any booklet printing questions of yours in real time! If you can’t find the exact options you wanted or needed, please login to our website and request a custom quote. For Product Specification, please click here.